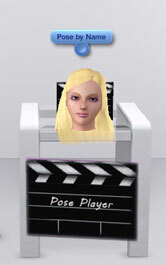 Thanks to Cmomoney now is finally possible use custom poses in The Sims 3! For who is a creator inside, and who something more "custom", Orangemittens has written a tutorial about "how to create new poses". We have translated it in Italian, and you can find it here if you prefer italian to english. If you prefer to use game default stuff, you can choose the NRaas Animator. It is a mod usefull to play base game and expansion iteractions and choose the looping mode.